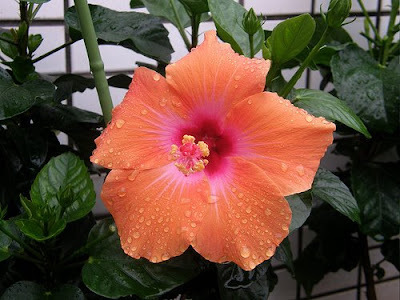 The New Creation is attractive to all those who want to progress. 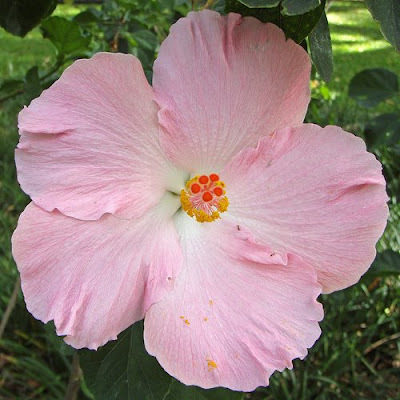 Large single light pink flower with crinkled petals and a centre that varies from white through dark pink. 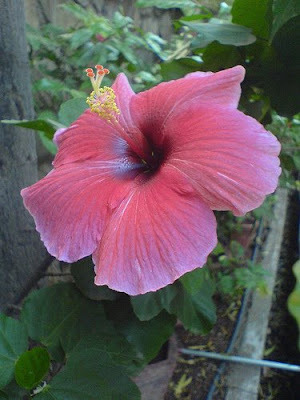 The more we concentrate on the goal, the more it blossoms forth and becomes precise. 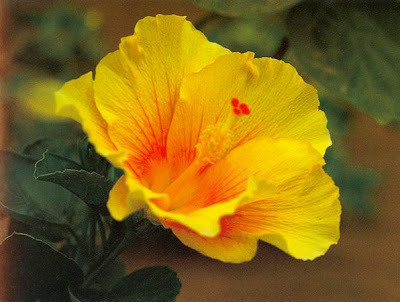 Large semi-double flower of the cup-and-saucer type with rounded outer petals and a tufted centre, in bright orange or bright yellow with a fire red centre. Concentration on a precise goal is helpful to development. 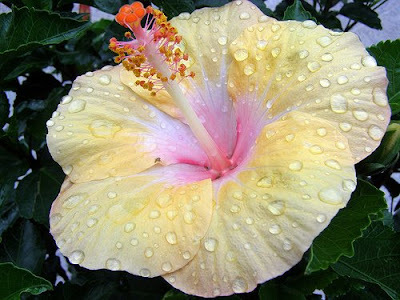 Medium-sized single cup-shaped flower with thick crinkled yellow petals with orange blotches and red orange at the edges, and a light yellow centre. Each must find the activity favourable to his progress. 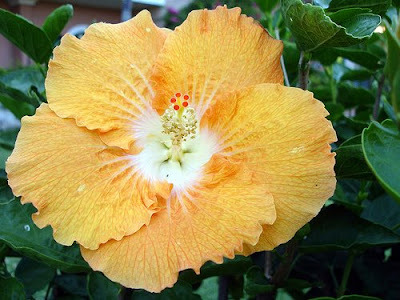 Sturdy medium-sized single cup-shaped flower with a frilled yellow border and a firelike reddish orange centre that radiates out over much of the petals. The new creation will be rich in possibilities. 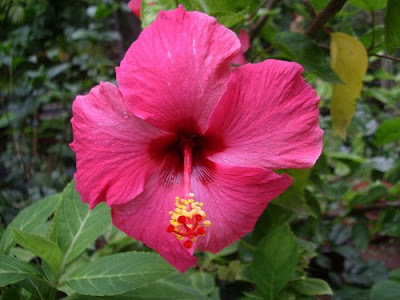 Medium to large single bright red or orange red flowers with firm thick velvety petals splashed with white as if with irregular brush-strokes; the edges of the petals shaded cream yellow to light gold. The new creation wants to be steadfast in its manifestation. 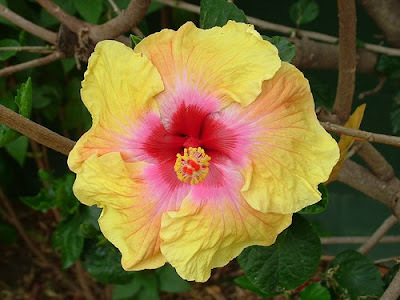 Large single yellow flower intricately veined with orange, the small veins gradually fading to yellow, with a striking deep red or bright pink pinwheel centre and a radiating pink aura. 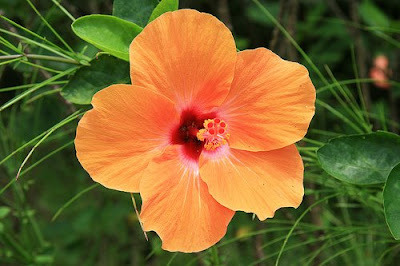 Another form is a large single yellow flower speckled orange with orange on the edge of each petal and a large tricoloured pinwheel centre that is bright red shading to grey lavender, then to rose; the mature flower loses its orange colour and turns solid golden yellow while the centre remains the same. A creation which aims at teaching men to surpass themselves. 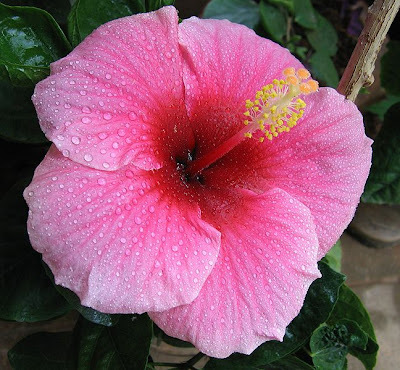 Medium to large solid single deep pink flower with flat rounded petals and a reddish pink center. It is for this that we must prepare. 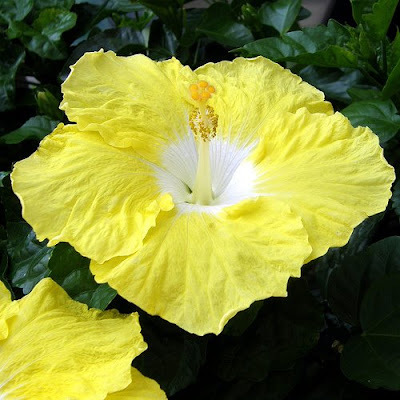 Large single lemon yellow flower with a white centre. 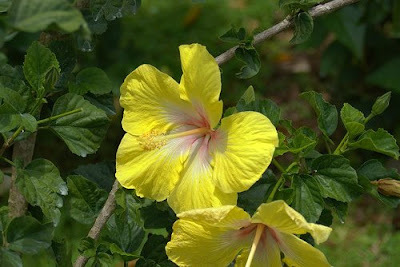 Another form is a large bright yellow flower with a white centre tinged pink. Efforts well-directed break down all obstacles. Large single grey lavender to deep lavender with delicate petals and a magenta purple centre. The power of those who know how to continue their effort. 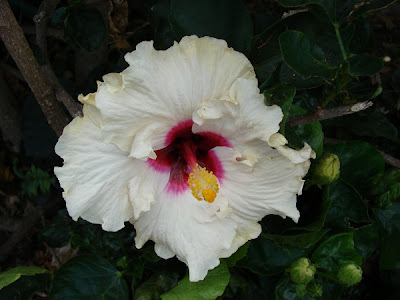 Large single cream white flower with crinkled petals and a deep rose pink or magenta pinwheel centre. The ideal should be progressive so that it can be realised in the future. 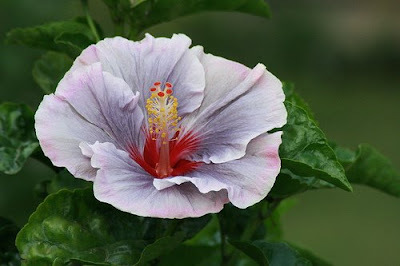 Medium-sized single cup-shaped flower with delicately or heavily crinkled petals of violet mauve with nearly white edges and an intense pale mauve or violet centre. 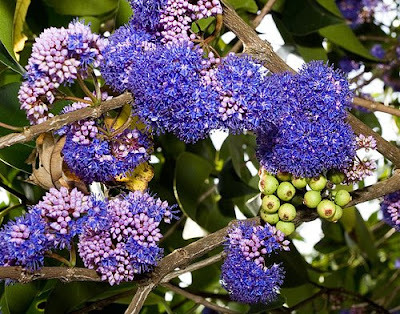 Tiny mildly fragrant intense blue flower with four rounded petals and exserted stamens tipped cream white; the flowers are held in rose pink calyces especially prominent in the bud stage and borne in small tight rounded clusters along the stems. 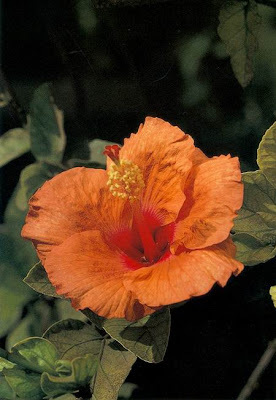 A shrub or small tree with leathery leaves.